There are a variety of ways to make geese, but I only use two of them. 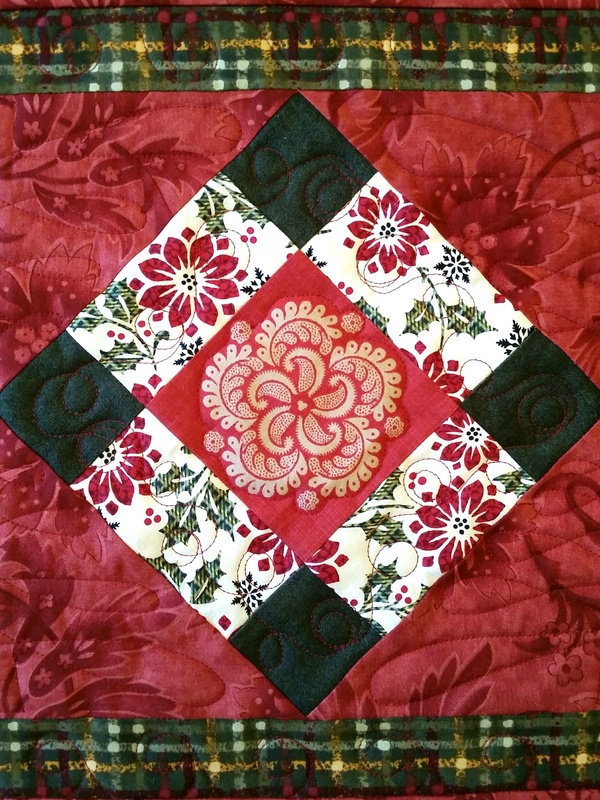 One is the stitch-and-flip method. With this, the base (goose) is cut the size of the finished block, plus 1/2″ each direction for seam allowances. 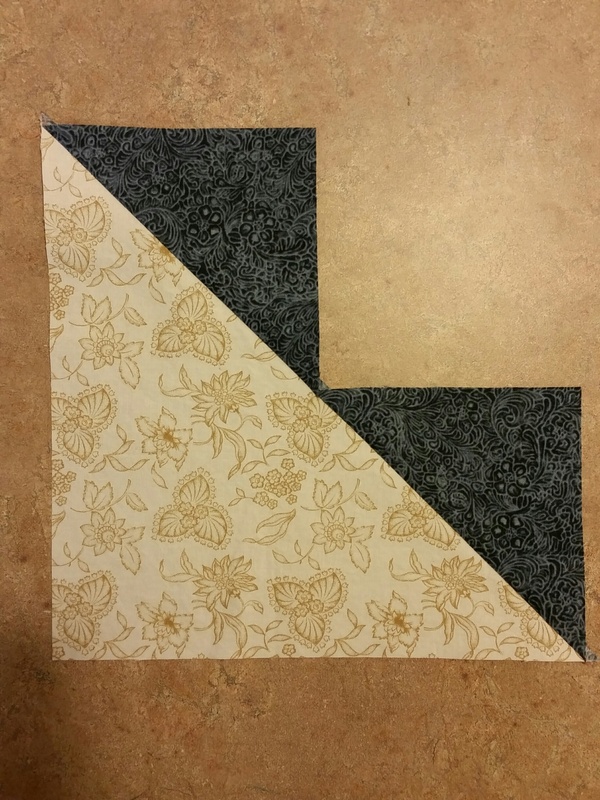 For example, if you want a block that finishes at 3″ x 6″, cut the base as 3.5″ x 6.5″. 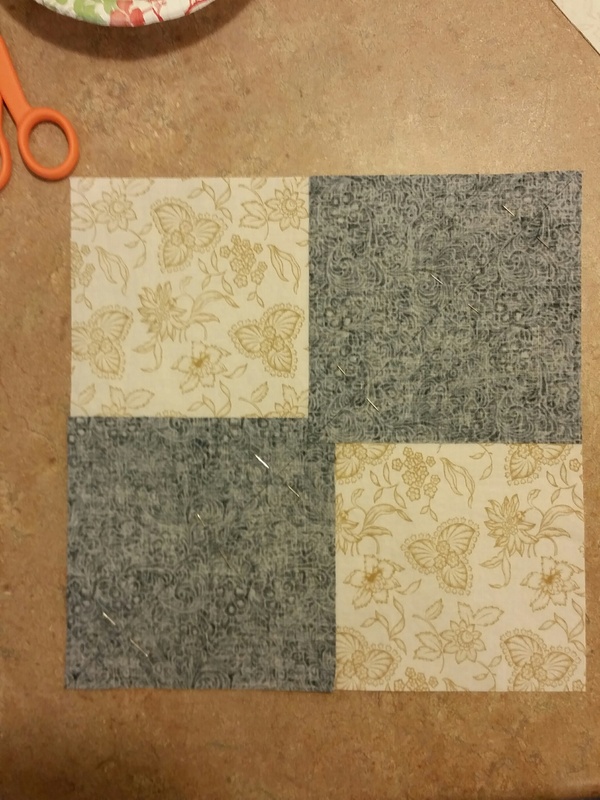 The background (sky) is cut as two squares, both half the length of the finished block, plus seam allowances. 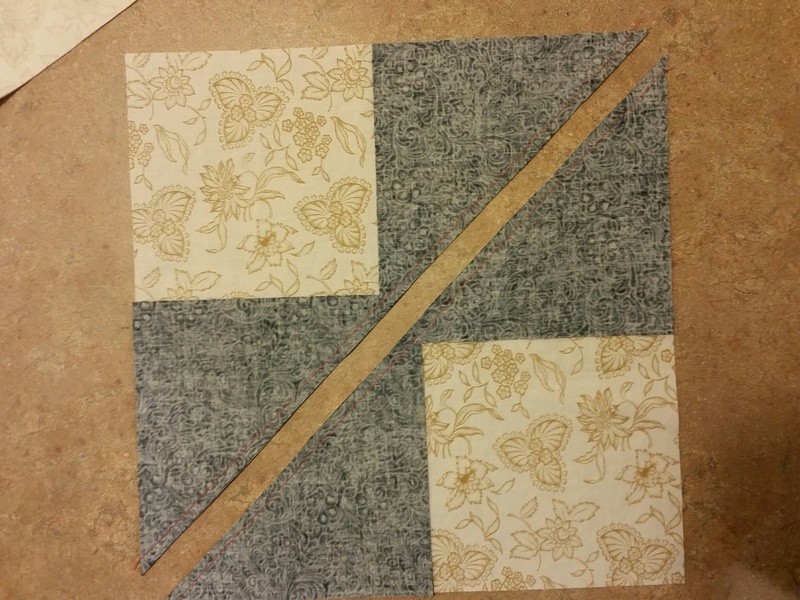 Using the same size block, cut two pieces that are 3.5″ square. 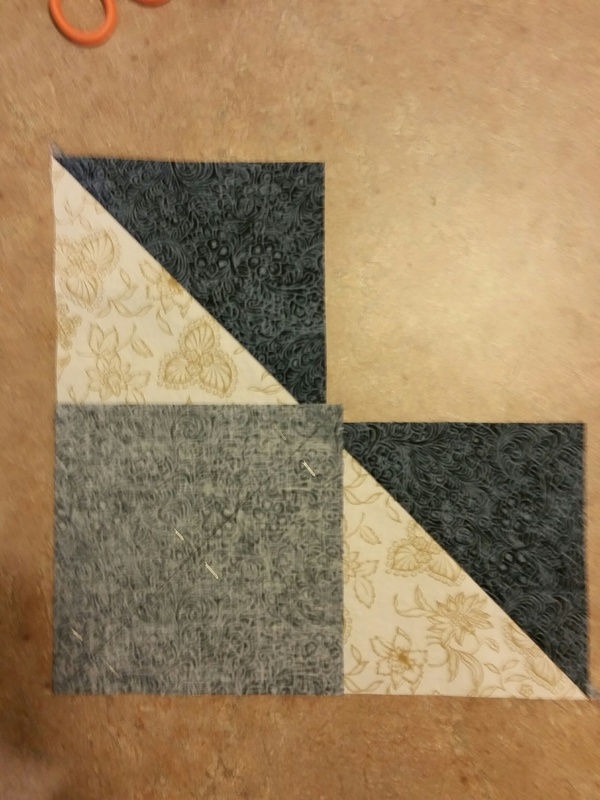 Pat Sloan shows how to put these together to make a perfectly sized flying geese unit. The method works great. However, you do have waste triangles of fabric cut off. 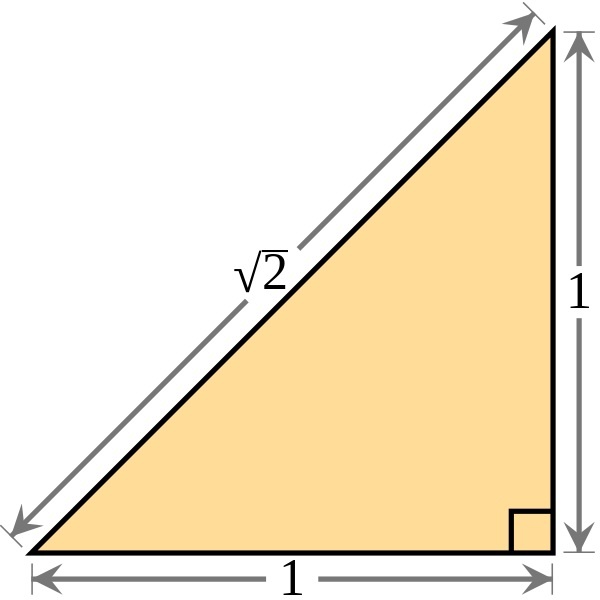 Some people make good use of them and convert them into half-square triangles for other purposes. I do not. For small flying geese, throwing away the waste doesn’t bother me much. For larger ones, it does. The other method I use is the four-at-a-time method. Why choose this one? The process allows more efficient use of fabric, because there are no waste triangles. For me, the disadvantage is I have to be more careful of my seam allowance. To adjust for that, I check sizing on the first set I make. If I need to trim slightly, that means I need to use a slightly bigger seam allowance, perhaps only a thread width bigger. (See the tip below for trimming your flying geese units.) Even so, it’s a great way to make a lot of geese quickly and with no waste. Here is a video that clearly explains the process, as well as a link to another set of instructions from Connecting Threads. For each FOUR geese units, use 1 large square and 4 small squares. Example: for four flying geese units finishing at 3″ x 6″, cut 1 large square (the geese) at 7 1/4″, or 7.25″. Cut 4 small squares (the sky) at 3 7/8″, or 3.875″. Draw a diagonal line across the wrong side of each small square, corner to corner. Arrange two of them right sides together in diagonally opposite corners of the large square, with the drawn lines meeting in the middle. 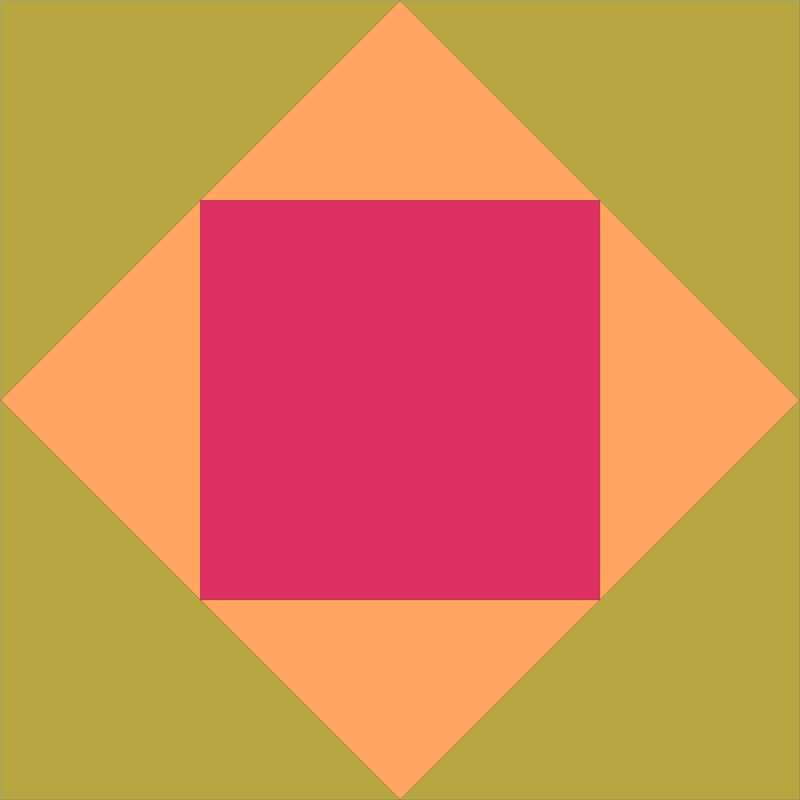 The small squares will overlap a little. Pin them in place. The photo below is a little murky. 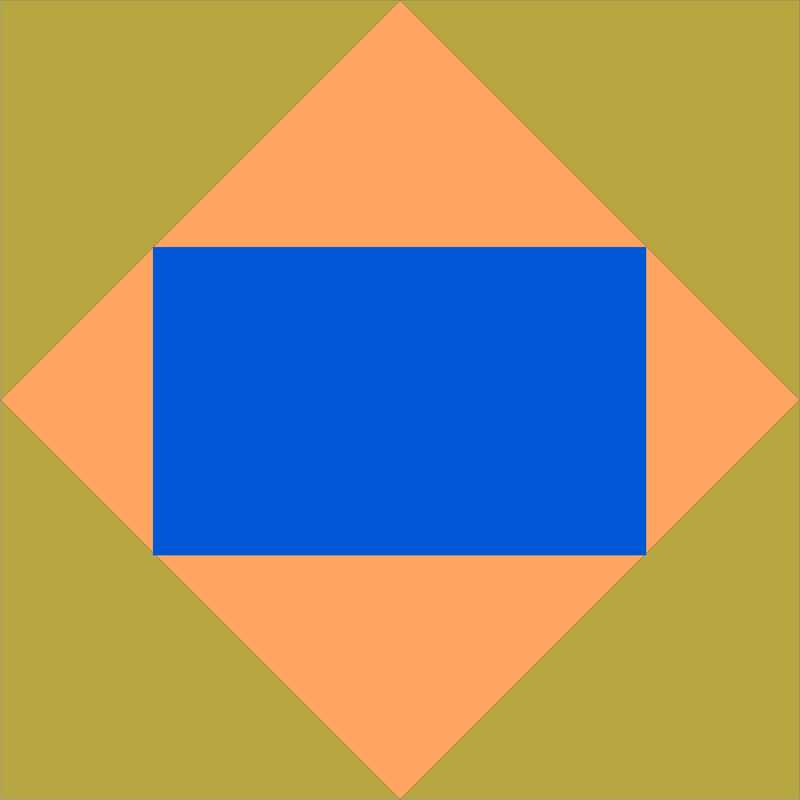 The small squares are of dark blue, with wrong side up. 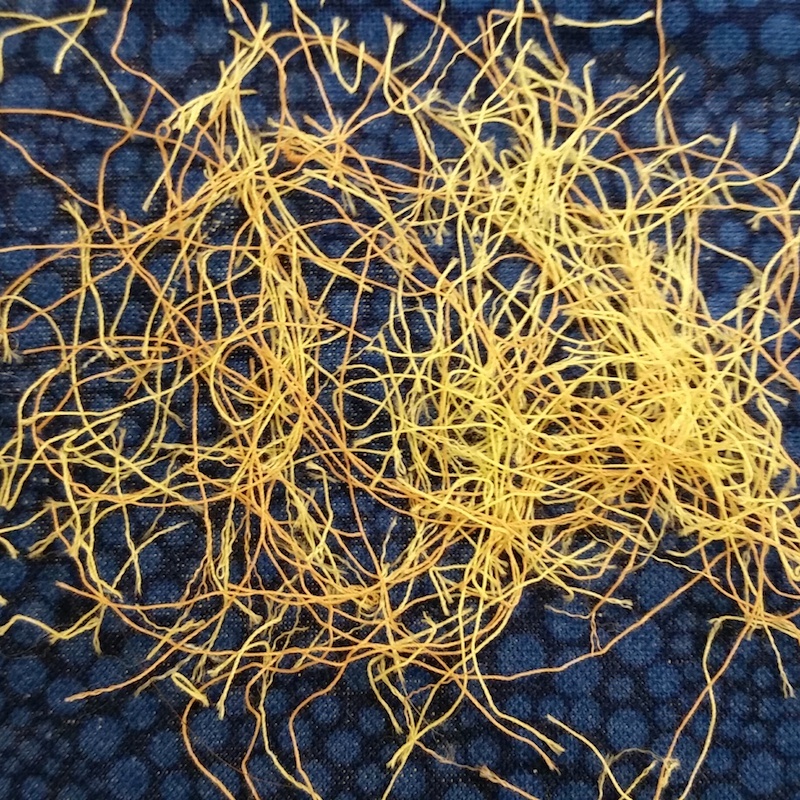 Stitch from corner to corner, a scant 1/4″ away from the drawn line. Then turn around and stitch the other direction on the other side of the drawn line. Cut on the drawn line between the two stitching lines. The video shows using the rotary cutter and ruler, but scissors work fine. Press toward the sky squares. You end up with two pieces shaped sort of like a heart. On each of those pieces, pin another of the small squares with the drawn line running from the corner through the “cleavage” of the heart. Sew 1/4″ from both sides of the drawn line, as you did before. Cut apart on the drawn line, and press toward the sky triangles. 4 (units) x 2 (per unit) x 3.5″ x 3.5″ = 98 square inches of the sky fabric. 4 x 3.875″ x 3.875″ = 60.0625 square inches of the sky fabric. 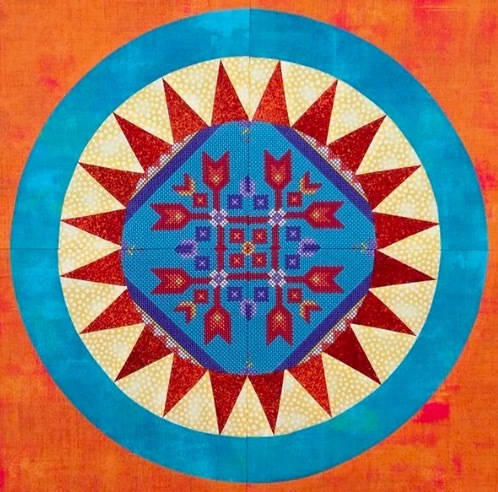 For this size example, stitch-and-flip requires substantially more of each fabric, compared to the four-at-a-time method. While that might not seem like much, if you need a lot of geese, it adds up quickly. I don’t always have that much more fabric available. Note that different sizes of flying geese will have different outcomes on this calculation, because of the proportion of the seam allowance compared to the rest of the unit. One more alternative is to create the effect of flying geese using half-square triangles. Instead of 32 flying geese, I could have used 64 half-square triangles. I chose not to do this because I wanted the toile of the base fabric unseamed. A trimming tip: if your geese are slightly too big and need to be trimmed, make sure you leave the point, or “beak,” intact. Trimming at the bottom, along the “wings,” will be less noticeable. 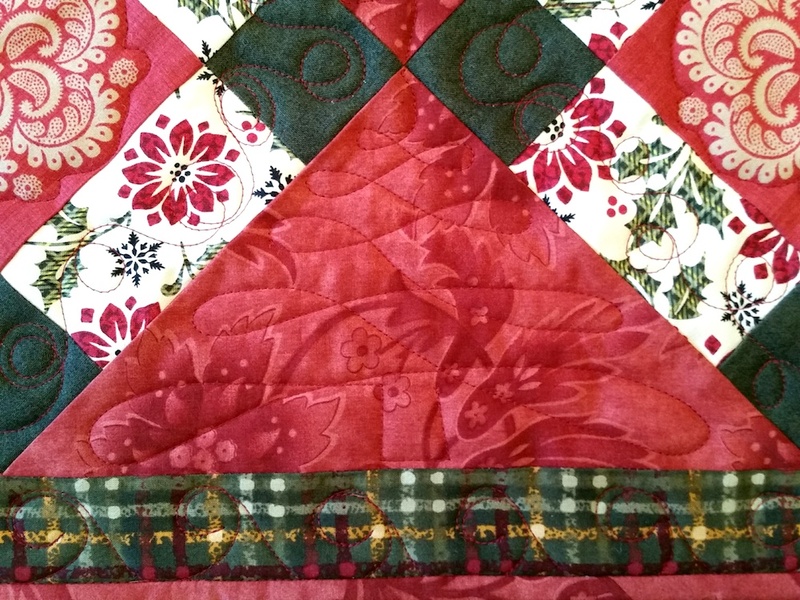 Do you use flying geese in your quilts? Do you have a favorite way of making them? Questions or comments? 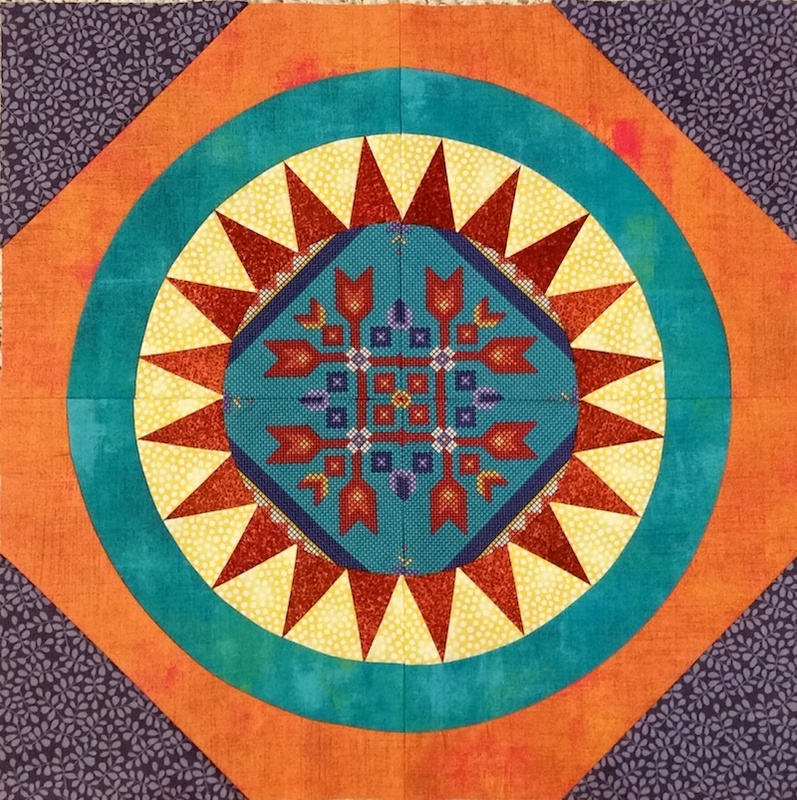 This entry was posted in Quilting and tagged Flying geese, Making quilt blocks, Tutorial on November 18, 2017 by Melanie McNeil.